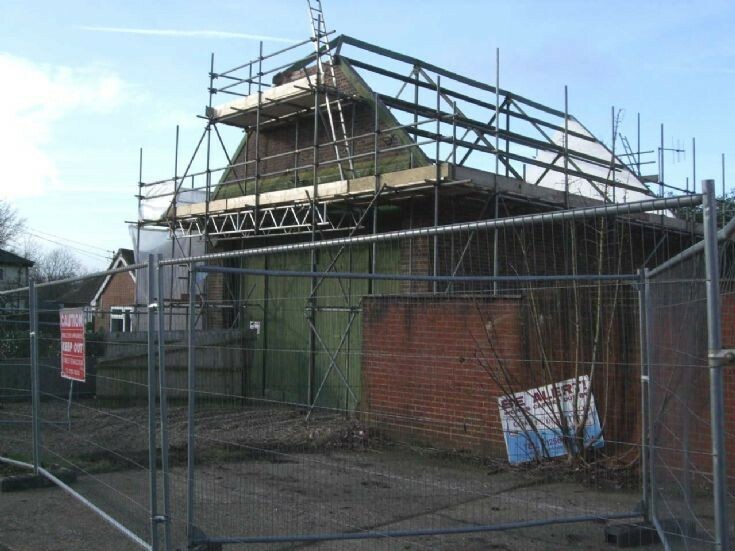 With scaffolding surrounding the old bus garage in Brighton Road, Handcross, the demolition men have been able to remove the roofing tiles, which no doubt will be recycled. Polythene sheets have been placed on the side of the scaffolding to protect the neighbouring bungalow “Gwynfa”. The Large Version shows a similar view but from the front. Click on Open Document for a progress report showing that the roof timbers and gable ends have been removed.